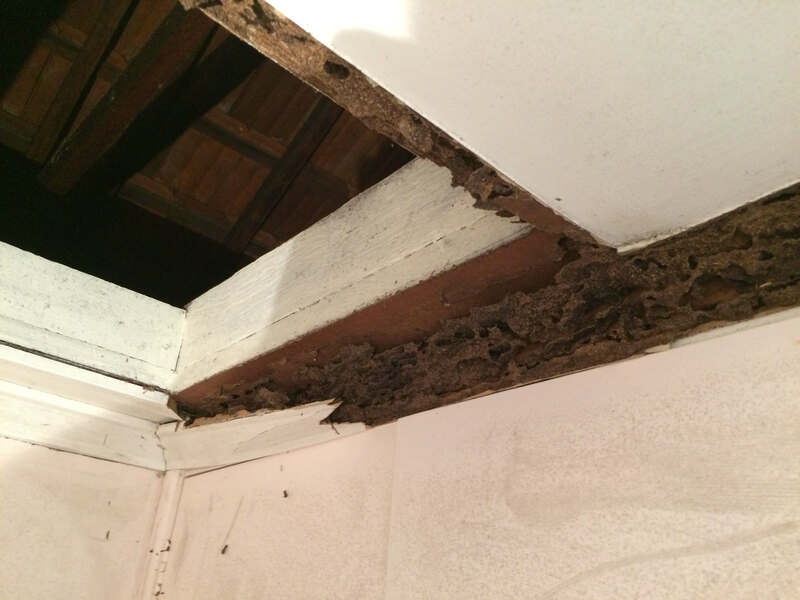 m.ewaldBUILDING was engaged to repair termite damage in a bathroom ceiling and replace damaged floor joists and steel posts. 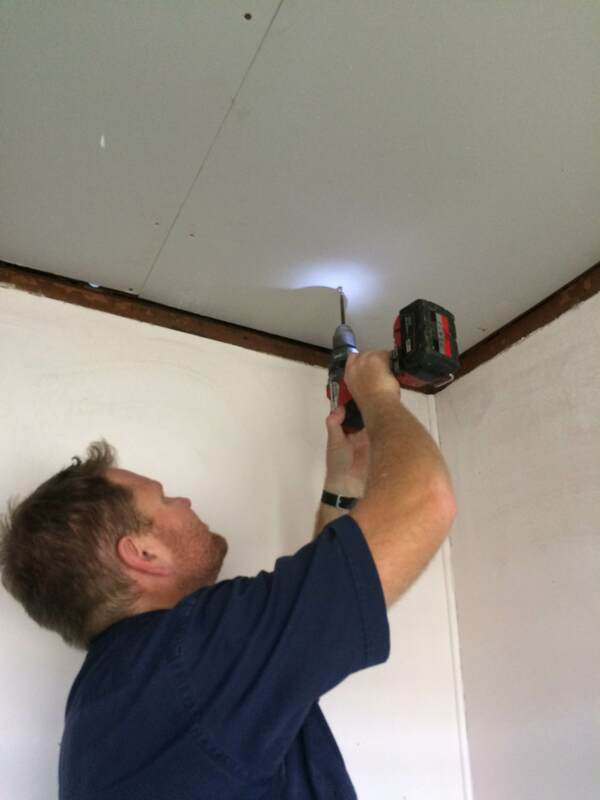 First we used acro props to support the existing structure and re-level the floor. Then we installed three new steel posts. 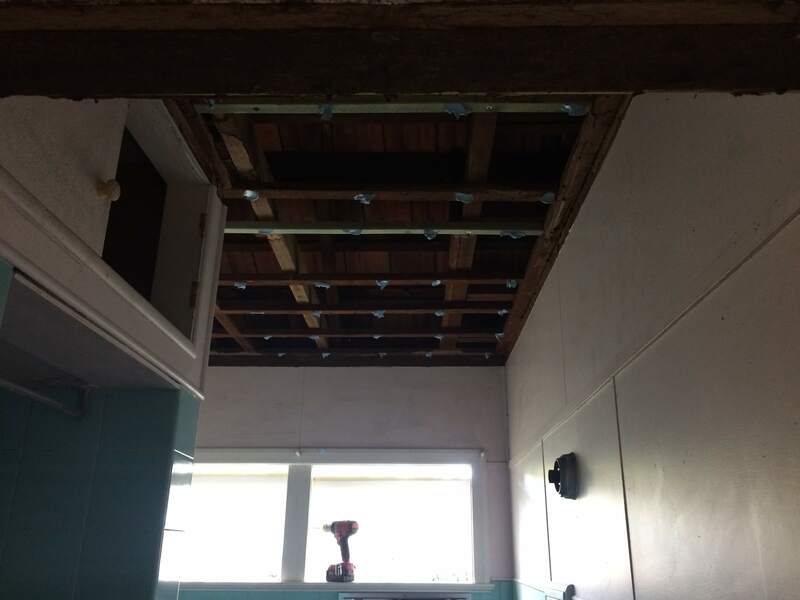 Once the steel posts were installed and securely attached to the concrete slab and timber bearer, the acro props could be removed and new timber floor joists installed. 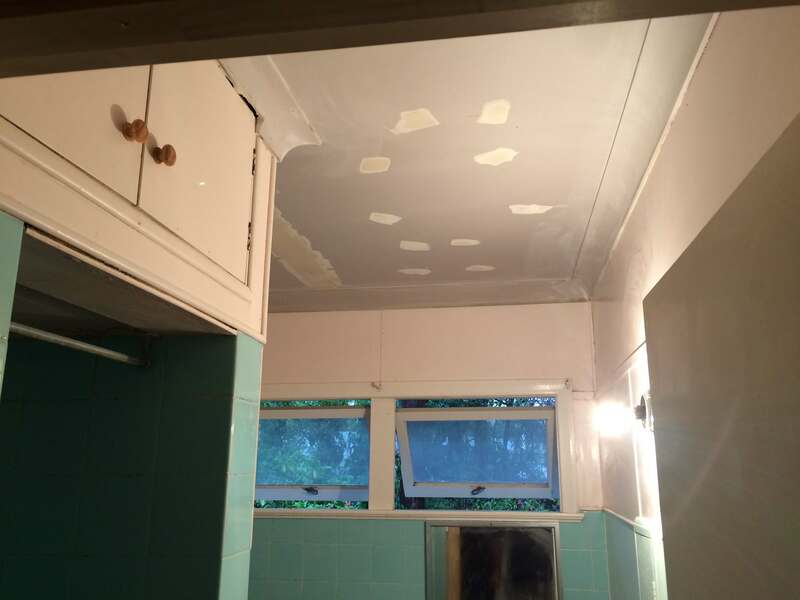 Once the ‘ground works’ were completed we could move upstairs into the bathroom and uncover what real damage had been caused by the termites. 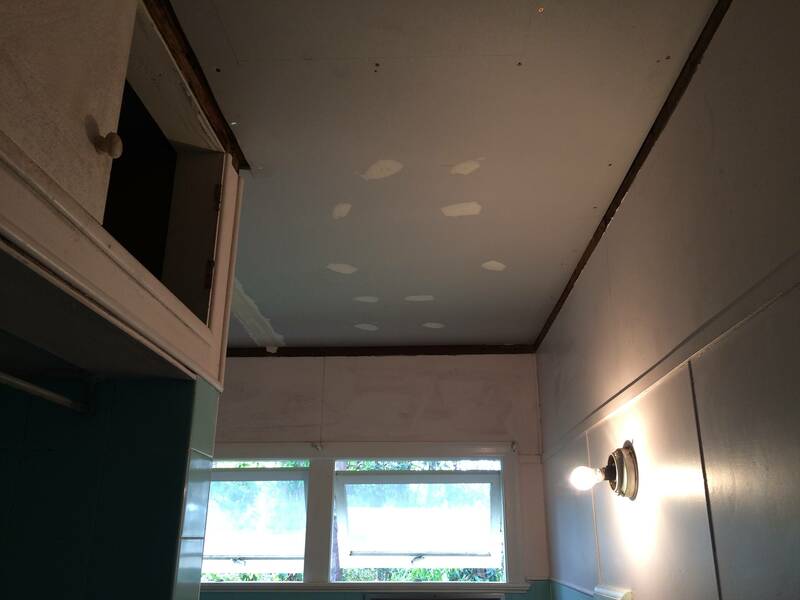 The ceiling sheets and timber cover strips were removed, damaged ceiling battens/ceiling joists replaced, New plasterboard sheets and plaster cornice installed and plastered ready to paint. The timber work around the door frame was replaced, and finally all new work was painted.